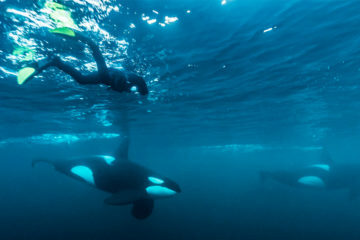 A young orca that showed up without its family; that is not a good sign! This happened to Northern Resident orca Springer (A73). Fortunately, with lots of help from people and donations, a successful rescue operation was set in motion. And the way that this success was later reaffirmed is almost too good to be true. On the first of November in 2001, a lone orca was seen in Puget Sound. More sightings near Vashon Island of probably the same individual were reported, including a sighting in January 2002 by Ken Balcomb of the Center for Whale Research and Mark Sears. 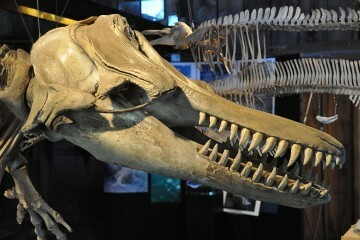 It was a young animal, about two and a half years old according to their estimation. 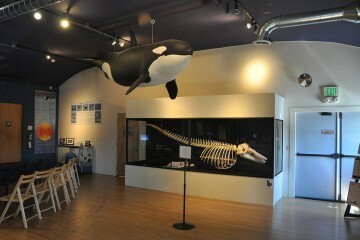 However, they had no idea who this orca was and where the animal came from. 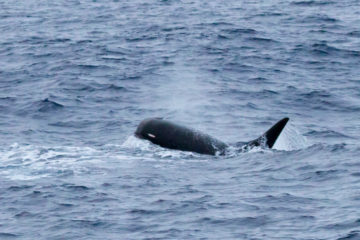 Photo-identification was used to find out who this orca could be. Graeme Ellis thought he recognized the orca. 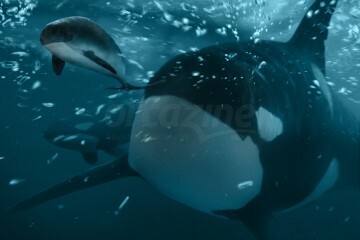 He had seen a young orca swimming close to a female orca known as G50 in Queen Charlotte Strait in the summer of 2001. Therefore he assumed, which later turned out to be incorrect, that this orca was the calf of G50. 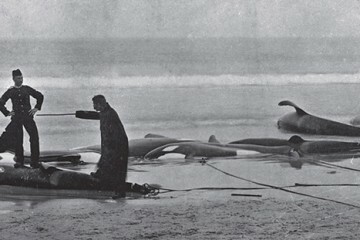 In addition to photo-identification, acoustic research was also used to find the origin of the orca by recording Springer’s vocalizations. Matches with sounds from in A-Clan of the Northern Residents were found. Helena Symonds of Orcalab recognized the type of sound made by Sutlej (A45), a female orca from the A24 matriline that was born in 1983. 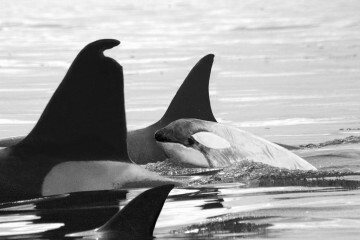 The young orca in Puget Sound had to be Springer (A73), the daughter of Sutlej. 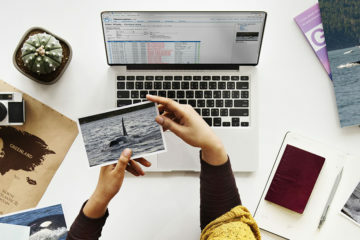 In the meantime, Graeme Ellis continued to search through his photo catalog and found a match between the eyepatch of the orca in Puget Sound and a photo of Springer. Springer was born in the winter of 1999/2000. 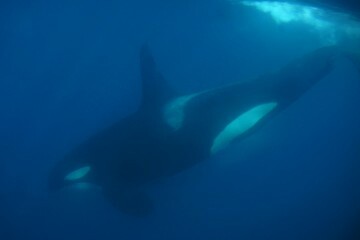 Researchers John Ford and Graeme Ellis saw her for the first time on June 9, 2000. She was named A73, because she was born in A pod. In September 2000, Springer and her mother Sutlej were last seen in an encounter in the south of Alaska. The family of Sutlej and Springer was regularly seen in the following year, but without them. Therefore it was assumed that both had died. 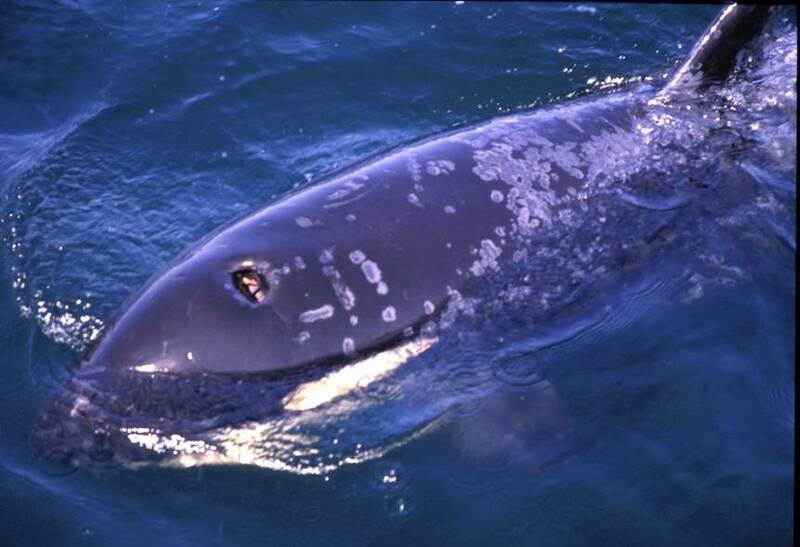 In August 2001, G50 was seen with a calf, which later turned out to be Springer, not a calf of her own. 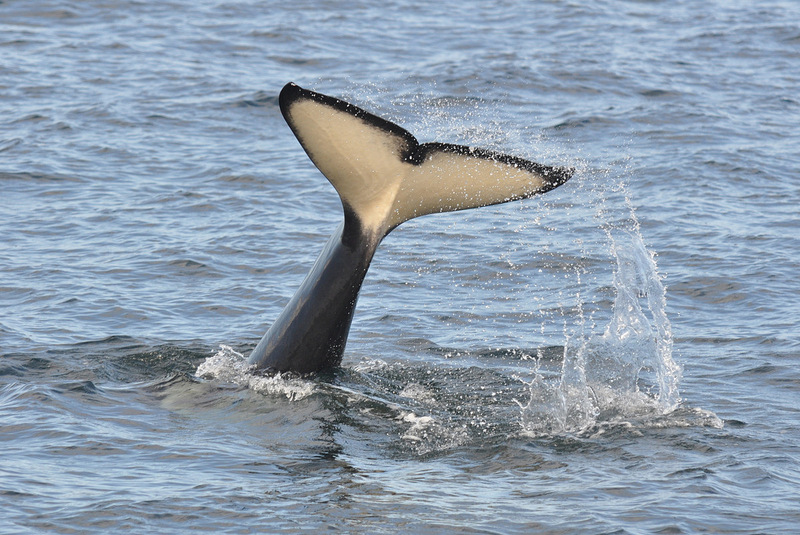 That autumn, the group of G50 was seen near the entrance of Strait of Juan de Fuca which leads to Puget Sound. It is unknown if Springer was still with G50 at that time. It is impossible to know exactly why Springer ended up alone in Puget Sound. It is likely that Springers mother died and that Springer lost her family around the same time. After that, she temporary joint G50, but eventually ended up alone in Puget Sound. 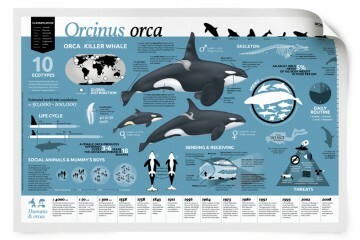 Now that the identity of the lone orca was known, it was possible to look at future possibilities. 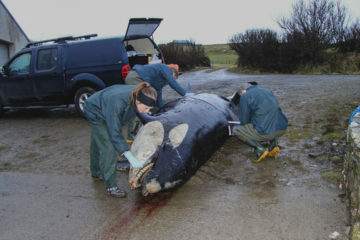 A delegation of the Vancouver Aquarium, including a veterinarian, visited Springer with scientists from NOAA in February 2002 to investigate her health. According to their observations, Springer had skin problems, was lethargic and possibly underweight. In addition to that, Springer’s breath did not smell normal, a sign that she was using her fat reserves because she did not have enough to eat. The chances of survival were small if people would not intervene. The chances of a successful reunion with her family seemed likely, because the exact family was known, as well as the location where they could be found. A proposal for a rescue operation was made and months of debate followed. It was for example important to know that Springer did not have any diseases she could transfer to her family. 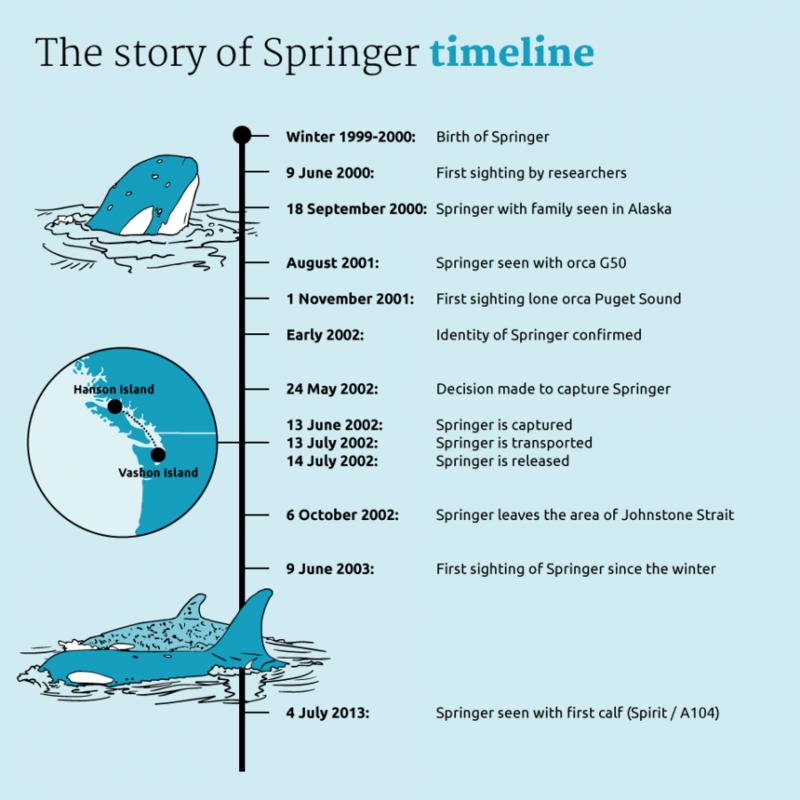 In May 24, 2002, it was finally decided to intervene and capture Springer. Early June, the rescue team started to make Springer used to having people around her. June 13, 2002, was the day of Springer’s capture. First, the team attached a rope around her fluke and they guided her into a sling. Then, she was lifted onboard a boat for a medical inspection. After that, she was placed in a netpen near Manchester, Washington. In this enclosure, Springer could receive medical help and was fed live salmon. The food was provided through a tube, to prevent Springer from associating humans and food. Other contact with humans was kept minimal. Springers health improved and after tests showed that Springer did not carry any diseases, the transport from American to Canadian waters could start. 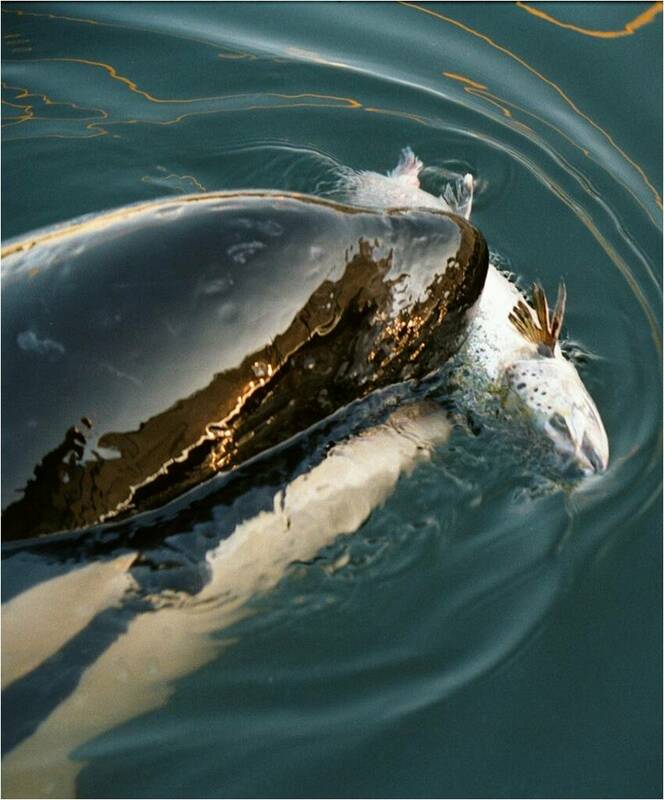 Springer’s journey to her home waters started on July 13, 2002. She was placed in a sling, lifted from the water and placed in a transport box on a catamaran. This boat transported her to Dong Chong Bay on Hanson Island. After a 10 hour journey, she was lowered into the water of another netpen. 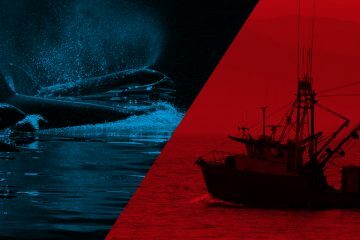 During the night after her arrival, she made the first contact with her family, when members of A pod were passing in the area of her netpen. The orcas were passing Dong Chong Bay again the next day. It was decided to release Springer after tracking tags were placed on her dorsal fin. Springer swam towards the other orcas when her netpen was opened, but unfortunately did not join the orcas and went her own way. 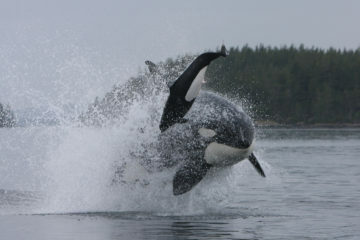 A day later, Springer briefly joined other orcas near a rubbing beach in Robson Bight. 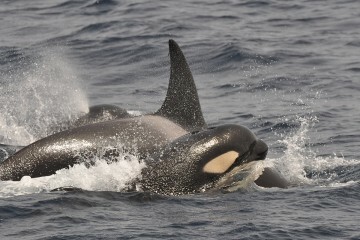 The rake marks that the other orcas had made on Springer’s skin showed that this encounter was not completely friendly. Springer also sometimes displayed dangerous behavior, she approached boats. 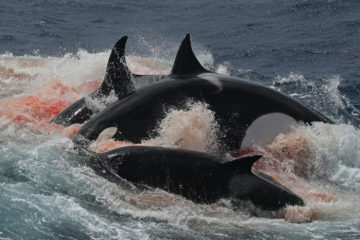 On July 18, Springer was seen with other orcas. She was seen with Nodales (A51), a sixteen year old female. It was seen that Nodales prevented Springer from approach boats. 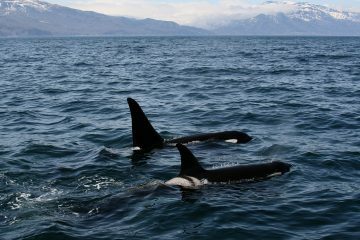 From this moment on, Springer was regularly seen with other orcas. 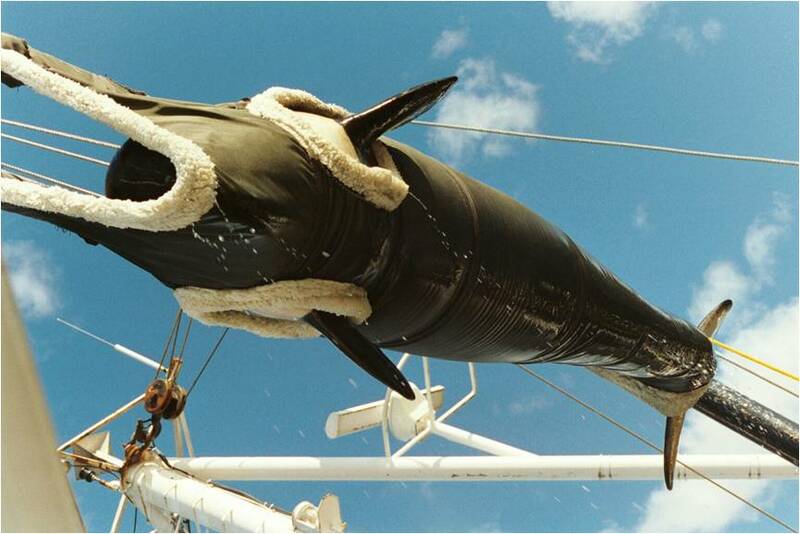 Springer left the area of Johnstone Strait with the A4 and A5 pod in October 2002. The suspense about Springers wellbeing after a winter without confirmed sightings was ended in June 2003. Springer was seen and photographed in Fisher Channel and a month later sighted in Queen Charlotte Strait. Springer was seen with Yakat (A11) and Yakat’s daughter Nahwitti (A56) and seemed to be in good health. 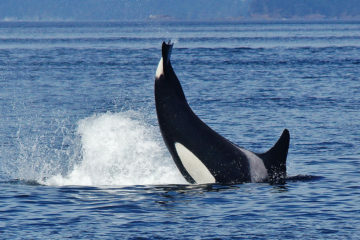 During the summer, more encounters of Springer and the other Northern Resident orcas followed. Springer was regularly seen in the following years, mostly with Yakat en Nahwitti. Sadly, Yakat died in January 2013, leaving Springer, Nahwitti and Nahwitti’s calf without the leader of their group. But fortunately, there was also good news a couple months later, in July 2013. Springer was seen with her first calf that was named Spirit (A104). Four years later, she got her second calf. The rescue of Springer was already a big success, and that success is now even bigger. By producing offspring, Springer gives now, and in the future, an important contribution to the survival of her population: the Northern Residents.